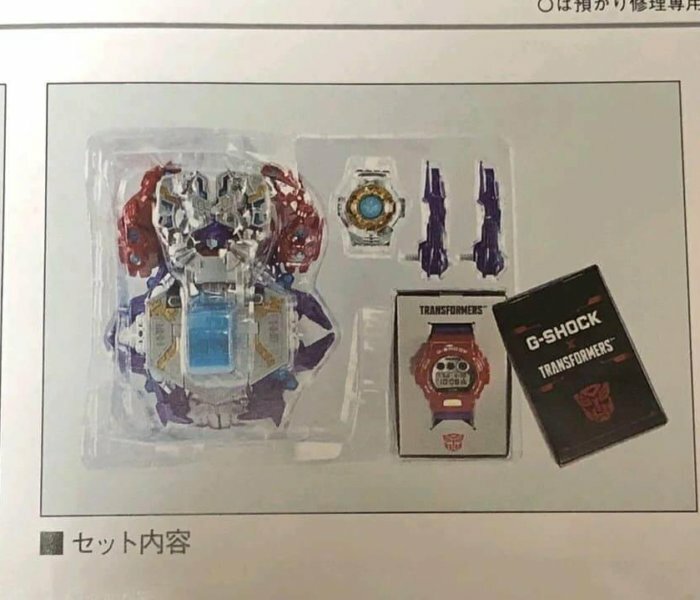 Update: The Transformers x G-Shock DW-6900TF-SET set which includes a transforming Optimus Prime figure and a G-Shock DW-6900TF-4 watch will be released on 8 December 2018 with a list price of ¥29,000 JPY plus tax. 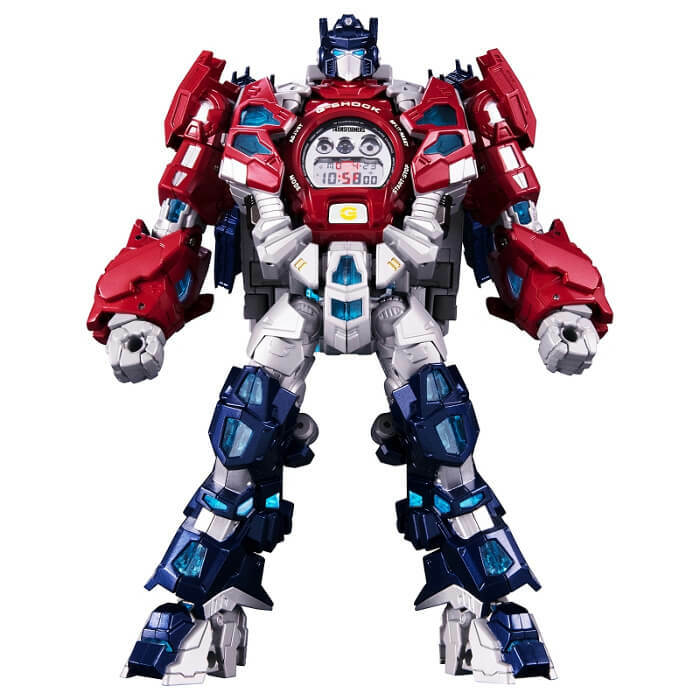 Takara Tomy will be conducting online lottery sales at tf.takaratomy.co.jp with an application period from November 19, 2018 12:00 to November 22 13: 00. Winners will be notified on November 30. Shipping is to Japan only. 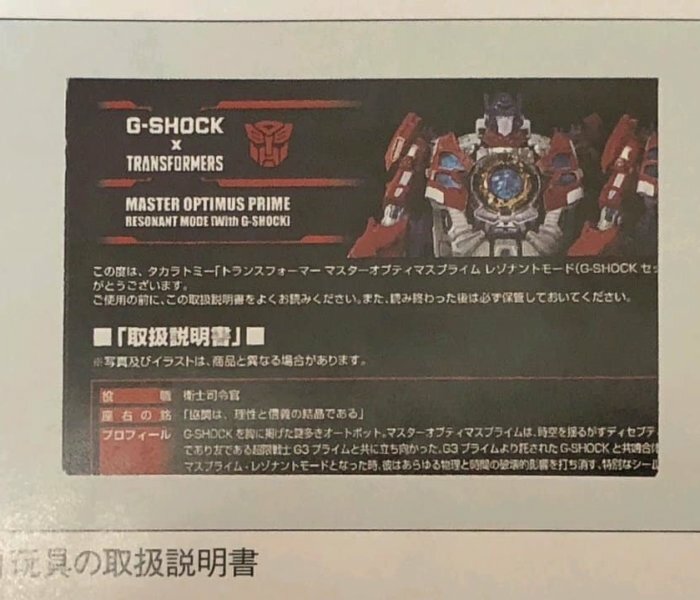 There will also be another G-Shock x Transformers set available for ¥16,000 JPY that includes the same Optimus Prime figure but does not include the G-Shock watch. The figure is able to accommodate a 6900 or 5600 model G-Shock watch. See G-Shock’s official webpage for the collaboration here. Update 3: Casio America also announced the DW6900TF-SET with a retail price of $350 USD. Availability will be limited to the G-Shock Soho Store in New York City and gshock.com. G-Shock Australia also said the DW-6900TF is “coming soon” on Instagram and G-Shock New Zealand also announced the upcoming release. Note that the quantities are expected to be very limited and we do not know exactly when or how it will be available. We suggest checking the respective web sites and social media accounts as often as possible if you are interested in buying this set. 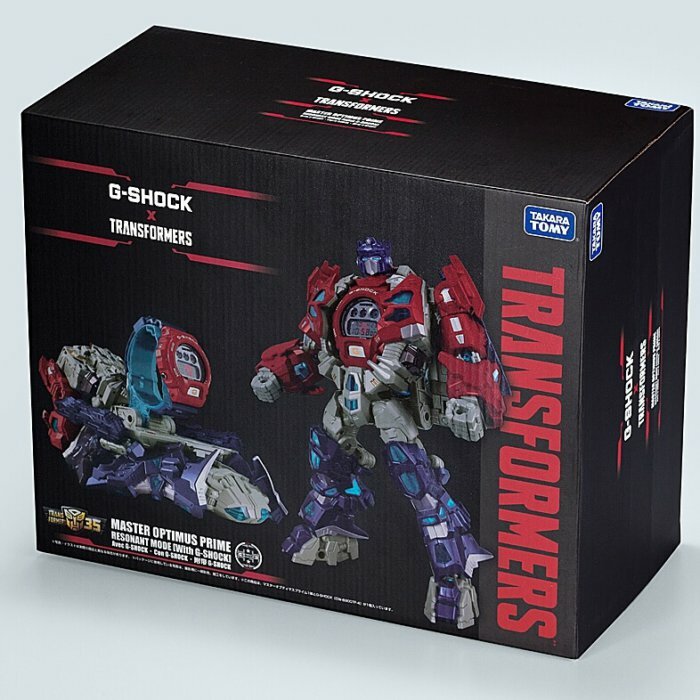 Another wildly successful brand from the ’80s like G-Shock, the Transformers toy line is celebrating its 35th anniversary in 2019 and is marking the the occasion with a collaborative release that includes an Optimus Prime figure and a custom Casio G-Shock DW-6900TF-4 watch. 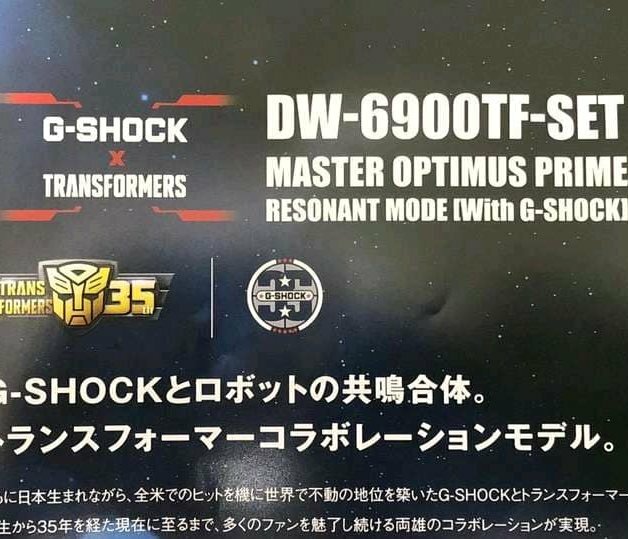 The model number and full name of this unique Transformers x G-Shock collaboration is DW-6900TF-SET Master Optimus Prime Resonant Mode [With G-Shock]. 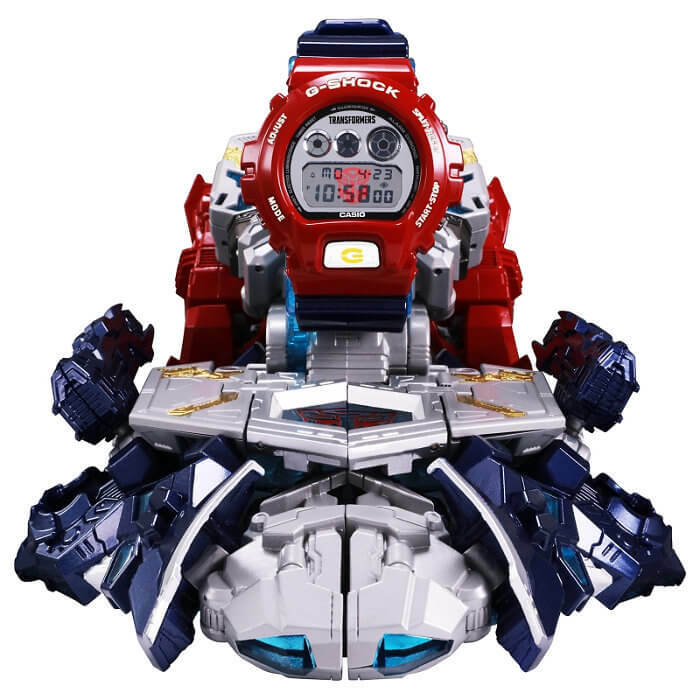 The boxed set made by Takara Tomy includes a transforming Master Optimus Prime figure that houses the G-Shock DW-6900TF-4 watch in its chest area. 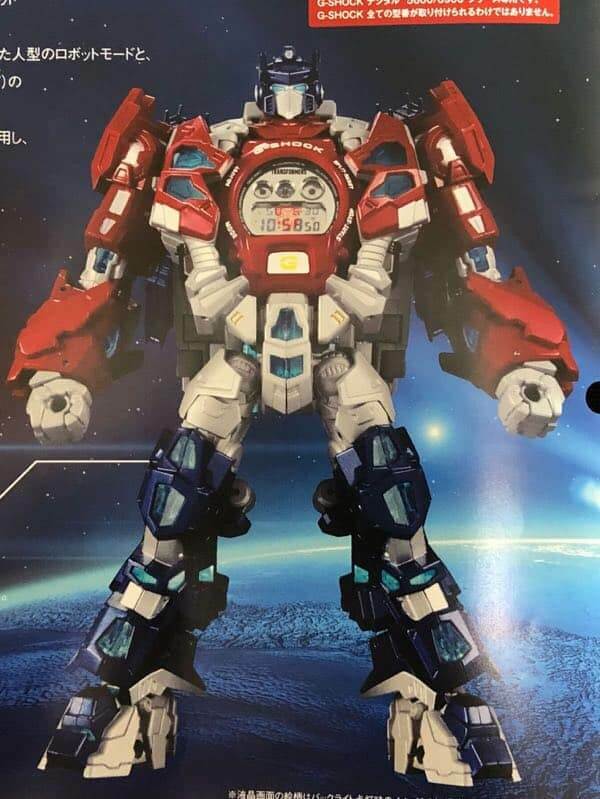 The figure can be transformed into various modes such as the Robot Mode and the Pedestal Prime Mode which acts like a display stand puts the emphasis on the watch. If the watch is removed from the figure, the included Matrix of Leadership piece can take its place. Two gun pieces that can be placed in the figure’s hands are also included. 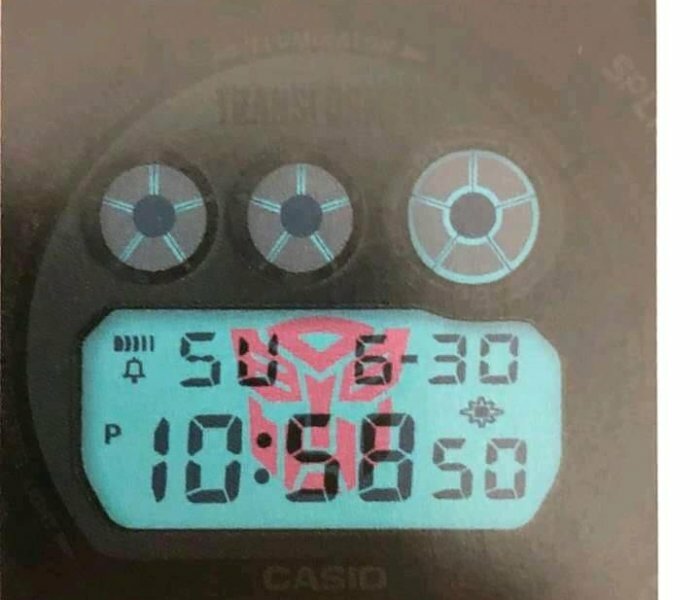 The DW-6900 watch has a red bezel, blue bands, and a silver face with the Transformers logo. The Autobot emblem appears when the EL backlight is activated. The watch also includes its own co-branded box within the set. One of the most successful toy brands of all time, the Transformers toy line was launched in 1984 in a joint effort between Japanese toy company Takara Tomy and American toy company Hasbro. The toys were based on Takara Tomy’s previous Diaclone and Microman mecha figures. Transformers would go on to become both a highly popular TV series and movie franchise and has sold over 500 million figures in over 130 countries and regions. 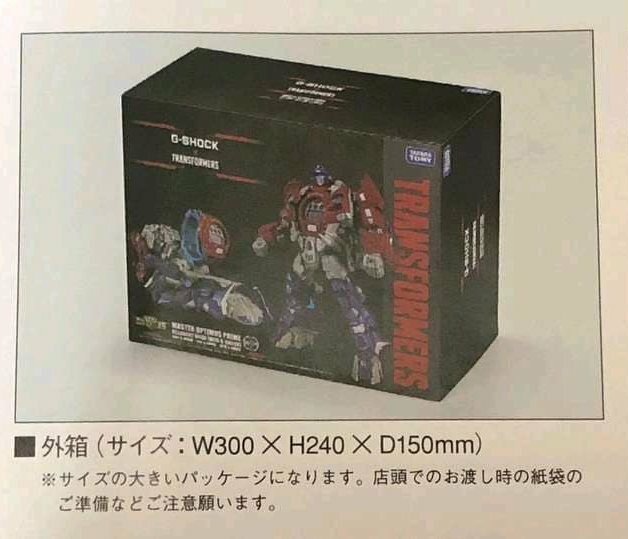 Photos were leaked by Taiwan-based 杯麵宅品 Yu’s Hobby Land from what appears to be some sort of official publication in Japanese. The release date, price, and availability details have not been revealed yet. 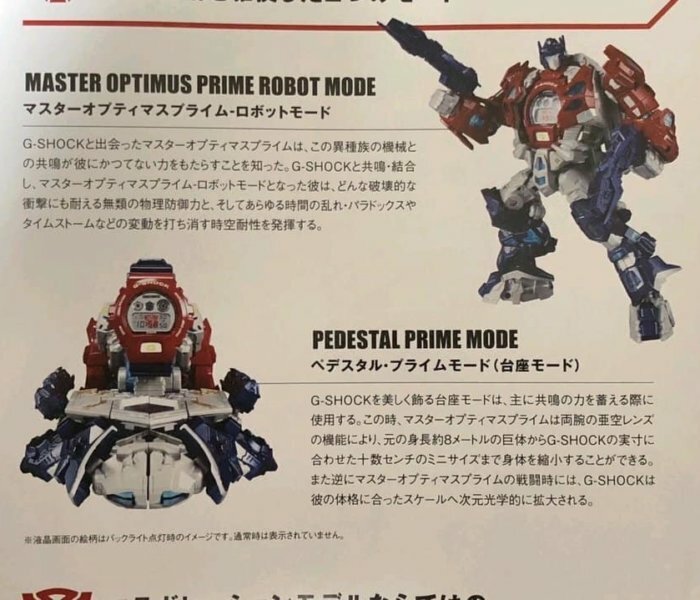 We’re assuming this set will only be released in Japan. It is unfair to US customers not to have these “Japan Only” releases not made available in the US. 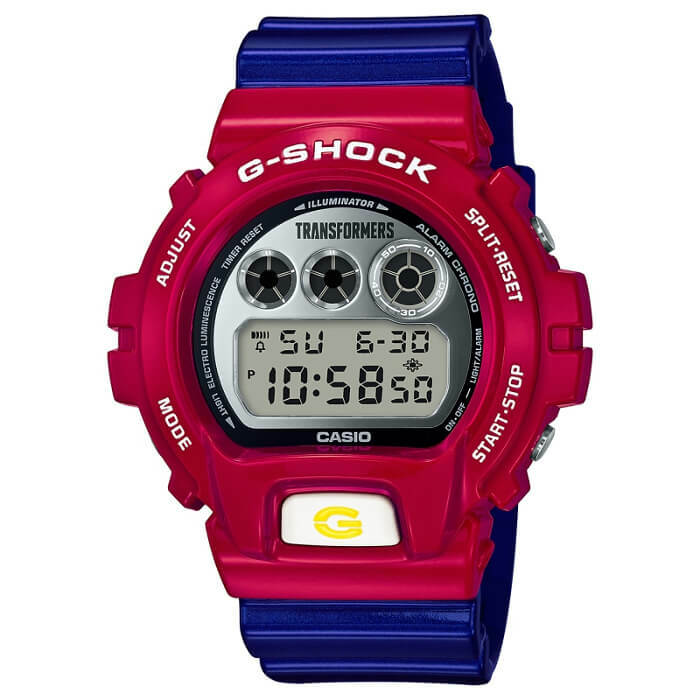 It will be available in the U.S. at the G-Shock Soho Store and at gshock.com but it will probably sell out quickly.